Donations to the Foundation’s Annual Fund allow us to help Oklahomans through our projects, both now and into the future. Your financial contribution goes a long way to ensuring a bright future for Oklahoma agriculture. Your gift of any size is tax deductible as a charitable donation to a 501(c)(3) corporation, pursuant to IRS guidelines. We thank you for your support. Every gift to the Oklahoma Farm Bureau Foundation for Agriculture makes a difference. Each gift, regardless of size, will be recognized in the Foundation’s Annual Giving Report.  A note to our donors: We appreciate your generous support of the Oklahoma Farm Bureau Foundation for Agriculture. We desire to recognize every gift with 100% accuracy. If we have inadvertently made an error in recognizing your gift, please contact Whitney Bender at (405) 523-2300 to make corrections. To make your donation with a credit card through PayPal, click the button below. Support the foundation through your everyday shopping on Amazon. Just use the foundation’s Amazon Smile link, or visit smile.amazon.com and select the Oklahoma Farm Bureau Foundation for Agriculture as your charity of choice, and the foundation will receive 0.5% of your eligible purchase value back as a donation. Be sure to use smile.amazon.com for all your shopping to ensure the foundation receives the donated portion.